But this made it 10 years since that crucial night – 1/9/2008, 7 p.m. PST, sitting on the bed after work out in Fresno, where I lived at the time. It’s been one hell of a ride since then … and it’s not over. After all, 1) People don’t live in vacuums; and 2) If you ain’t learnin’, you ain’t livin’. And I’ve certainly not been in a vacuum, and my gender trip is still a learning experience, for me as much as anyone. But I can tell you it’s one of the most difficult, yet wisest, decisions I’ve ever made – to confront this after all those decades, take it head-on, and (hopefully) become a much better person for it. 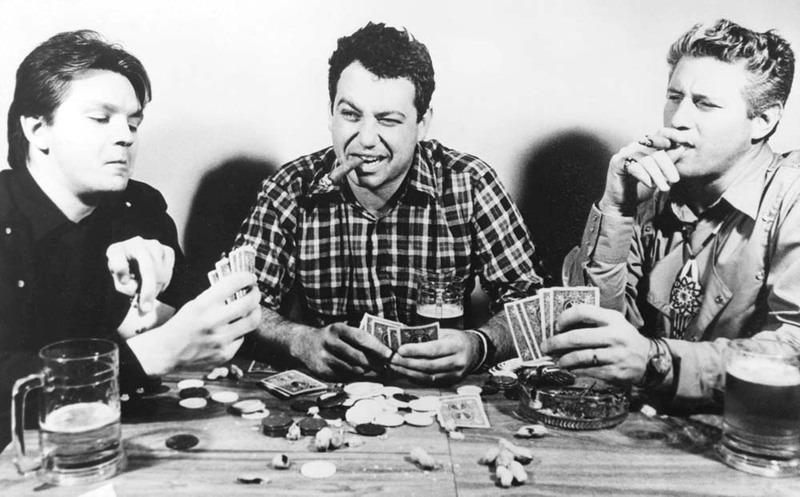 fIREHOSE: My poker game has improved vastly since I interviewed Mike Watt (center, with edFROMOHIO Crawford and George Hurley) in '87. Hi. This week’s Five Songs grows a couple of extra bonus tracks this lucky Friday the 13th. That’s because a band I never thought I’d see again is coming to Fresno tonight — fIREHOSE is playing at Fulton 55. Just hearing about the show earlier this week, and the idea of Mike, Ed and George together again, were intriguing enough; they wouldn’t have had any reason to have reunited if there was a chance of embarrassing themselves. And now, a rave. I think I’ll have to be there. Guess I’m a little more excited than I’ve been letting on. Plus, a quarter-century ago, a fIREHOSE show was a gateway into an exciting time in my life. I’ve deliberately stayed away from most things Amy Winehouse the past week, save for the obligatory Facebook post last Saturday notifying friends of her demise. But let’s face it — I’ve loved her music since I first heard “Back to Black” in 2007 (and subsequently cursed Universal for not having the balls to release her debut album, “Frank,” here in the States when it first came out). And the album became the gateway to me discovering the band that backed her — The Dap-Kings, and, of course, Sharon Jones. And, well, how could someone enjoy this terminally damaged talent (for her talent, not the terminal part) and not have her music stuck in their head all week? 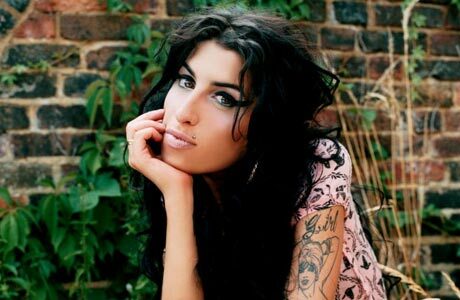 Thus, I gave in to my better musical angels and, well, here goes: the Amy Edition of Five Songs. And not one “Rehab” in the bunch. In addition to my three favorite Amy songs not called “Rehab” (and actually, “Tears Dry on Their Own” is my favorite), I tossed in two interesting twists I hadn’t been aware of: a great mashup I stumbled into of “You Know That I’m No Good” and Linda Ronstadt’s ’75 hit version of “You’re No Good”; and Ronnie Spector’s love of her. You can hear Ronnie’s previously unreleased studio version of “Back to Black” accompanying her tribute to Winehouse on rollingstone.com; the version here is from B.B. King’s in Manhattan last December. And thus, a Five Songs I wish I was posting for much better reasons. Betty White made me do it! Betty White with Amy Poehler, Maya Rudolph and Tina Fey -- an all-star cast, a "Saturday Night Live" for the ages. I had a date with an 88 1/2-year-old woman Saturday night. And I loved it. Actually, it was a group date, it was a blind date (obviously — she couldn’t see me, thank God), it was totally unplanned, and the woman took me to a place I haven’t been in a long time (ooooooh, captain!). It wasn’t part of my plans, but for the first time in the 31 years since I’ve been out of high school, I watched an entire episode of “Saturday Night Live.” And enjoyed the hell out of it. And I have Betty White to blame.